An occupational therapist and assistive technology practitioner explains the fundamental differences between temper tantrums and meltdowns and shares strategies to help address them. Learn great tips for finding the right daycare to meet your child’s individual needs with autism. The mom of twins with autism gives excellent advice on ways to help make your child’s therapy sessions a positive and successful experience for everyone. The mother of five children, two of whom are on the autism spectrum, lovingly shares her family’s personal journey. Learn how music intervention can improve social behaviors, increase focus and attention, increase verbalizations, reduce anxiety, and improve body awareness and coordination. A teacher describes the unique bond that has formed between herself and a delightful young student with autism in her classroom. The mother of a young woman with autism creatively shares life’s challenges and victories. A photographer explains how some autism symptoms may come to light in early childhood and ways she uses her art to share knowledge. The mom of six children, three of whom have autism, shares her personal tips in an effort to bring some calm to otherwise chaotic days. Meet Southeast Psych’s cofounder Dr. Frank Gaskill, creator of the Aspire program, which provides a space for families on the autism spectrum to thrive and aspire toward their dreams. Learn how creative writing has been instrumental in helping a nonverbal typer develop greater emotional regulation and self control. Introducing a video- and voice-based app developed to boost children’s imitation and speaking abilities through play. An educational therapist specializing in autism focuses on a young woman with Asperger’s syndrome who may be experiencing depression. Learn how the successful integration of assistance dogs is providing young people with autism much needed support. A special interview with Nancy Wells, LPC, who founded AbleTalks, a new approach to education, career development, and independent therapies for adults with autism and other intellectual disabilities. Learn about Karla Clark’s third novel which lovingly explores a professor’s relationship with her brothers when she moves back home to care for an adult brother with autism. Discover a new learning tool created for families, and a support tool for medical professionals to help diagnose pain when communication is a challenge. Teresa Sullivan gives an insightful look at the relationship between two sisters–one blind, with profound developmental disabilities, and the other with the heart to be her voice. Learn about what triggers head banging, how to protect your child with autism from self harm, and treatment for injurious behavior. Learn about the challenges college-bound students with autism face and how Brain in Hand can make a difference in everyday achievement. I received an email the other day from a woman whose preteen daughter had been diagnosed with autism spectrum disorder (ASD) after a long struggle. While the mom was relieved to leave a doctor’s office with a diagnosis in hand, she said she suddenly felt isolated and overwhelmed. How would she find autism therapies and strategies that worked for her daughter? How would her family move forward with this new information? Unfortunately, this seems to be a common dilemma for many families affected by autism. While there are a multitude of effective therapies available, such as applied behavior analysis (ABA), speech therapy, and occupational therapy, finding just the right balance can be a challenge. One therapy or strategy that may work well for one child, for example, may be ineffective for another. That’s why we reached out to several doctors, therapists, and parents of young people with autism in search of strategies that complement therapies implemented most frequently. One challenge we consistently hear about from our readers revolves around tantrums and meltdowns. 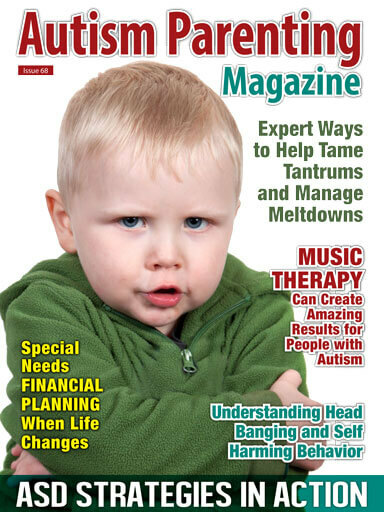 If this is an issue that affects you or someone you love, please take a look at Alescia Ford-Lanza’s article called Expert Ways to Help Tame Tantrums and Manage Meltdowns as the occupational therapist explains how these reactions differ from one another and how they each warrant unique management strategies. It’s an article that will bring better understanding for families affected by autism, as well as people in the community who don’t understand a child’s behavior. Another concern parents often share with us revolves around the bedtime routine. A child with autism may find it harder to get to sleep and to stay asleep, which can take its toll on an entire household. Caroline Preston, the managing director at Therapy Animals, believes the successful integration of assistance dogs can provide young people with autism much needed and immediate therapeutic answers. Please read 10 Ways an Assistance Dog Can Help Your ASD Child Sleep as Caroline describes how assistance dogs can use their emotional instincts and learned social skills to bring people emotional benefits and sensory interventions. It’s amazing the comfort and consistency pets can provide. We recently connected with Lindsay Diamond, the mother of two boys with Asperger’s and ADHD who describes how music intervention has positively affected her family. Take a look at her piece, Music Therapy Can Create Amazing Results for People with Autism, as Lindsay explains how music intervention can help social behaviors, improve focus and attention, increase verbalizations, reduce anxiety, and improve body awareness and coordination. Joyce Show Tran, a physician-mom of seven children and author of the book Teaching Your Child with Love and Skill: A Guide for Parents and Other Educators of Children with Autism, including Moderate to Severe Autism, shared a similar success story with us. Learn how her autistic son Peter, a nonverbal typer, has developed greater emotional regulation and self control through creative writing in her article, Amazing Ways the Arts Can Help People with ASD Develop Regulation. Their commitment to finding new ways to connect is inspirational. We are also excited to share some thoughtful guidance from the mom of eight-year-old twins with autism who manages multiple in-home therapies including 30 hours of ABA therapy a week. If you can use some advice on ways to make your child’s therapy sessions successful, take a look at Caroline Mitchell’s Survival Tips for In-Home Therapy You Need to Know. It’s important to make the most of the time your child has with a therapist, and Caroline knows how to make it a positive experience for everyone. 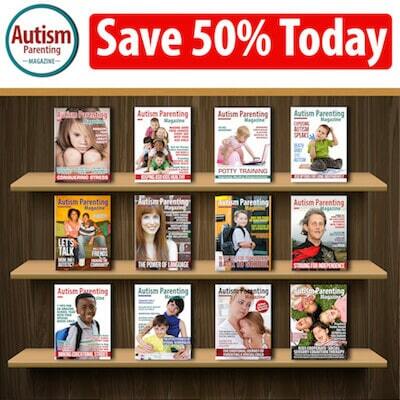 Autism advocacy is an important topic here at Autism Parenting Magazine (APM). It’s humbling to witness so many parents, teachers, doctors, and young people, including those on the spectrum, come together to make the change they want to see. A few months ago we launched a new column called Autism Warrior in an effort to highlight notable advocates. This month we would like to introduce you to Southeast Psych cofounder Dr. Frank Gaskill who helped create the program called Aspire in order to provide a space for families on the autism spectrum to thrive, find joy, and aspire toward their dreams. Under the program, a team of psychologists, therapists, educational consultants, and parenting coaches who specialize on the lifespan of the spectrum provide a continuum of services and experiences across the lifespan of their patients and clients. Gaskill’s work includes two books, and he is also the host of the Dr. G. Aspie show, “Asperger’s is Awesome!” Please sure to read Asperger’s Expert Wants a World Where People with Autism Fulfill Their Dreams as the therapist shares his inspiration and goals. Regular APM columnist Derrick Hayes introduces us to another remarkable advocate this month in his piece, An Exclusive Look at AUTISM with Nancy Wells. Take a look as Derrick shares his exclusive interview with the founder of AbleTalks, a new approach to education, career development, and independent therapies for adults with autism and other intellectual disabilities. The single mother of two adult women on the spectrum, Nancy became a licensed mental health therapist who now works to make a difference every day with families affected by autism in very remote areas. Our team is honored to connect with so many extraordinary people who dedicate their lives to helping families affected by autism. Their talents and motivation are contagious and inspiring. Wishing our families the best as they seek therapies and new ways to connect.